Brazil has become the fourth largest auto market in the world and 10,000 Chevys, Fiats, Fords, Nissans and VWs roll off the assembly lines daily, configured to meet the economic realities of the emerging middle class. Imagine growing up in one of Sao Paulo's barrios, dreaming of owning a shiny new car but with little hope of realizing the dream. When adulthood finally arrives the world has changed and suddenly there's a job and sufficient income to afford a new car – only not one with all the price raising safety features we now expect in the US. To make a profit on the limited resources of the new Brazilian buyer, vehicles must be made more cheaply, resulting in lesser quality materials, fewer welds and a dearth of safety features. When these vehicles hit streets better suited for the carts and pedestrians of 20 years ago, with drivers experiencing a newfound power and freedom, it creates a recipe for disaster. Based on an AP analysis of data from the Brazilian Health Ministry comparing the number of cars to people, the number of fatalities resulting from car collisions in Brazil is roughly four times as many as the automotive fatalities in the US. Over the last decade, car fatalities have dropped over 40 percent during the last decade thanks to the efforts of the NHTSA and IIHS. In Brazil, automotive deaths are up 72 percent when compared to the most recent tally available. Hospitals report the degree of accident victim injury is egregious, but the automakers insist they build cars that conform to the nation’s safety laws, suitable for the poorly maintained roadways in the South American country. This scenario is likely to be repeated in other nations as the number of autos globally climbs to 1.5 billion by 2020, many of which will be bought in emerging economies. "Entry-level cars in Brazil are incredibly dangerous, it can't be denied. The death rate from accidents is far too high," the AP article by Bradley Brooks accredited Maria Ines Dolci, coordinator of the Rio de Janeiro-based consumer defense group Proteste as stating. "The manufacturers do this because the cars are a little cheaper to make and the demands of the Brazilian consumers are less; their knowledge of safety issues is lower than in Europe or the U.S."
The article refers to a consulting group known as IHS when stating the brands make a higher profit on the cars they sell in Brazil, presumably because of the lack of sophistication of the consumer. Automakers bring in a three percent profit on the cars they build in the US, five percent average on global sales, but a full 10 percent in Brazil. Next year Brazilian law will require basic safety features such as front seat airbags and antilock brakes, but one Chinese manufacture builds a car there with these features already – still only scores one of five stars for safety preparedness. That’s brings up yet another problem as Brazil lacks the basic crash-test and safety labs that have evolved in the US. A group known as Latin New Car Assessment Program (NCAP) has begun an embryonic effort at safety ratings and their initial findings on the most popular models from Chevy, Fiat and VW are dismal. Four of the top five selling cars in Brazil, built by Chevrolet, Fiat and VW, were rated one star out of five in the earliest tests. Most of the other brands did not fare much better. In the US and European Union, no one will buy a car that isn’t rated at least four stars for frontal impacts. Though the manufacturers are essentially giving the buyer what they want, the consequences of that approach is, in a word, deadly. Ford’s little Ka hatchback is sold in both Europe and Latin America – in the Old World it rated four stars in safety tests, while the Brazilian model got only one star. As it turns out, the Latin American model is built on an outdated platform – an aspect Ford intends to correct as the firm proceeds with globalizing its marketing and manufacturing approach by 2015. Nissan similarly sells the European Micra for about the same price as its Brazilian counterpart, but in Europe it rates four stars while the Latin American variant called a March rates only two. The body of this vehicle is so weak with such non-sturdy structure; occupants are reportedly in danger from even minor collisions. It seems cars made in Brazil are reinforced to deal with the deplorable road conditions more than occupant safety on those same roads. Notably NCAP only tests for frontal impacts but does so in the same way as their European and North American counterparts. Fiat has sold over a quarter million models called Novo Uno and the safety agency has video of the vehicle’s front end collapsing like an accordion in a frontal impact. It scored only 2 points out of 16 in their rating system, the lowest of any of the 28 models examined thus far. 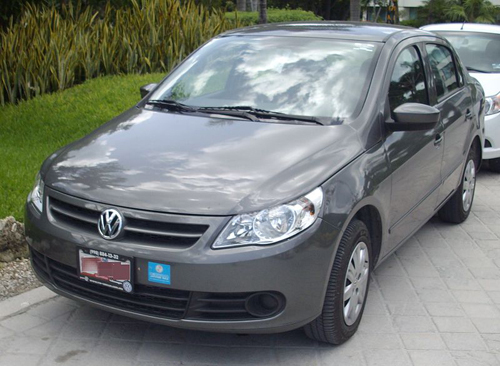 Over the last 10 years, the best selling car in Brazil has been the VW Gol (pictured above). The brand insists it makes every effort to create equal body strength for their models wherever they are built and that high-strength steel is used for their Brazilian models. Notably, front airbags have been an option on this model since 1998, though the brand did not say how many Brazilians bought them. It’s a Catch 22 – what the buyer can afford versus what the brand can provide for that price. Over the last decade, 40 million residents of Brazil have reached the level of the middle class and the affordability of an automobile. Only one in seven people there owns a car so the numbers are bound to increase as the economy grows. In ninth-grade physics, we studied the molecular motion of gaseous matter within a container. Excited and rarified molecules bounce around within the defined space and when one impacts another, each bounces off with equal force at a precise vector. It is inevitable those two molecules will come back together eventually to once more deliver an equivalent impact. Somehow we saw in this an analogy for the concept of Karma. Though we don’t find the automakers at fault for this situation, they should look at what can be done about it profitably – or eventually the impact of their actions will return to them with equal force.